Harrington's gift as a storyteller ... always gripping, endearing, convincing. 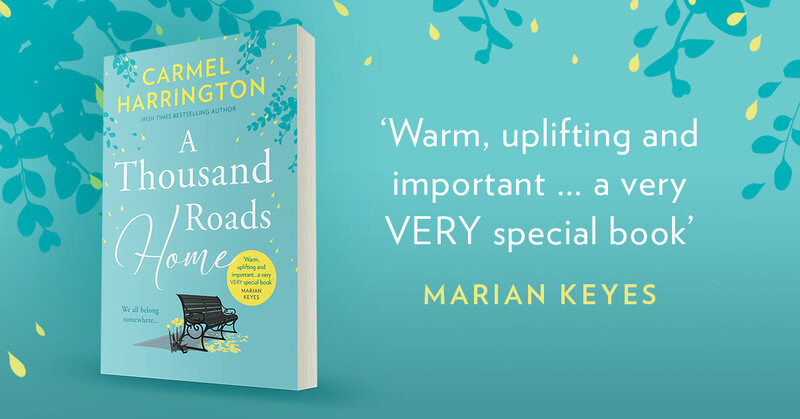 A popular voice in Irish publishing, often compared to the beloved Maeve Binchy, Harrington focuses her books on relationships, with a strong emotional overlay. I read it. I LOVE it! It makes an important point powerfully but subtly. Warm, uplifting & important…a very VERY special book. 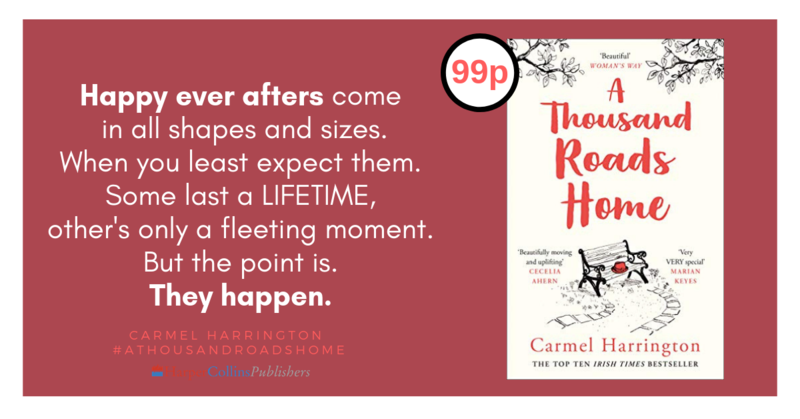 Carmel Harrington is a natural storyteller … a book with heart, humour and hope. This brave & original novel is both heartwarming, heartbreaking & thoroughly enjoyable. Beautifully written, emotionally intelligent & moving in the extreme. I both cried and laughed…one of the best books I have ever read. My heart has been broken a thousand times & I've felt so uplifted by Carmel's words a thousand times more. This for me is the Book of the Year! Her books are like a hug, they envelop you ... clever, finely honed, they make you think and make you grateful. 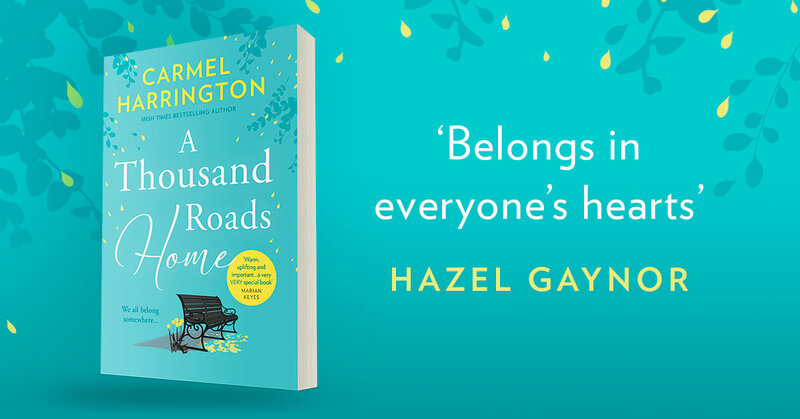 A Thousand Roads Home is one of Eason's Top Ten Reads of 2018, as voted by their readers. 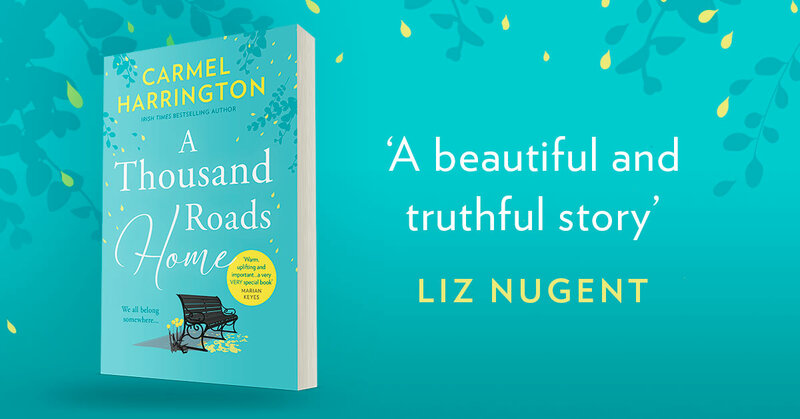 A Thousand Roads Home is Book of the Month with Easons and Bookstation October 2018! As part of the Peter McVerry Trust #OpeningDoors week, a dramatic reading from A Thousand Road's Home will be made by actors Cathy Belton & Raymond Keane on 11th October, 630pm, The Winding Stair, Dublin. The Woman at 72 Derry Lane remained in the Irish Bestsellers charts for 12 weeks, reaching no. 2! It was also a No. 1 UK, US and Canadian Amazon Bestseller. Carmel's novel, The Woman at 72 Derry Lane is shortlisted in the Irish Book Awards Popular Fiction Book of the Year category. This is her second year in a row to be shortlisted for this prestigious award. Carmel's official ITV novel, Cold Feet The Lost Years (Hardback Edition) reached No 14 in the UK Bestseller Charts. At last a Barnes & Noble review! Recently featured book in one of Ireland’ biggest virtual book club…… How cool! 'Am I living my best life?’ This question is one I often ask myself and a thread that connects the stories in each of my books. I like to push my characters to their limits so that their true selves can be revealed. Because I believe it is only in our darkest moments, that we realise how strong - or weak - we are. When I write, my characters become real to me. I hear their voices throughout the day, whispering their truths. And they always seem to know their own path, which is often different to the one I set them on in the opening chapters! I’m a heart on my sleeve type of gal and my books are like that too. They will make you cry and laugh. I do both when I write them! When a storyline involves any hurt inflicted on children, you can be guaranteed I sobbed while writing it! For me, my books are a little like this: sometimes in life, it rains, sometimes the sun shines. But when you have both, that's when the magic happens and a beautiful rainbow appears. My hope is that my readers see all of the colours of the rainbow when they get to THE END of my books.